LOUISVILLE — There was a time, it seems to the Rev. Jim Kirk of Presbyterian Disaster Assistance, that specific phenomena were isolated to different parts of the calendar. Click here to contribute to PDA’s work in Midwest flood recovery. At this time, as the situation is still unfolding — the Missouri River is due to crest over the weekend — Smith says the most effective way Presbyterians can help is to contribute to recovery efforts through the One Great Hour of Sharing special offering at their churches or online. A major portion (32 percent) of that offering goes to the work of Presbyterian Disaster Assistance. 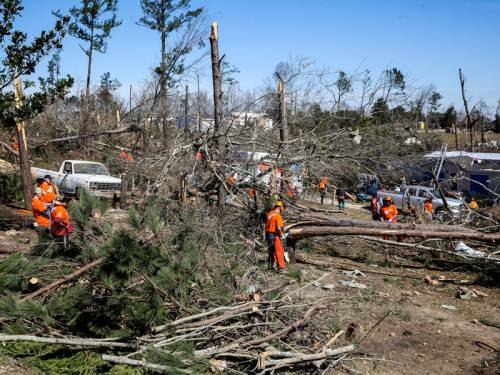 Click here to contribute to PDA’s work in storm recovery in Alabama and Mississippi.